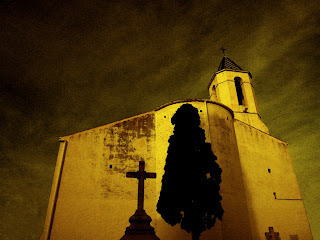 Kind of a travelogue-y thing to do, but here are a few shots from Sitges. Strange that almost every photo I took in Sitges is empty of people. That was not intentional. There were a lot of people there. Well... maybe it's not that strange, actually. If you need someone to turn a major resort location in Spain into a ghost town, that would be me.